If it isn't Mr Marshall Mathers - known to the world as Eminem releases the third track off his forthcoming album ‘The Marshall Mathers LP 2’. 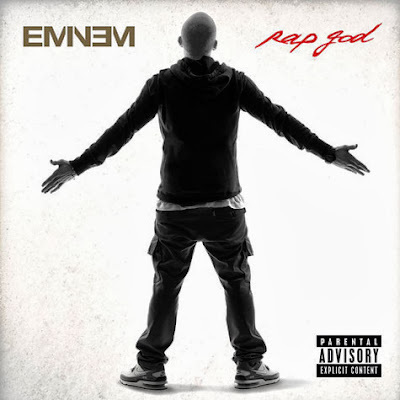 Eminem drops ‘Rap God’, a 6-minute rap song with the Detroit rapper spitting bars after bars - going HAM on the DVLP produced track. Arriving on November 5, ‘The Marshall Mathers LP 2’ will feature collaborations from Kendrick Lamar, Skylar Grey, Nate Ruess of fun. and Rihanna.